SEO And Social Media Marketing – Like Jelly And Peanut Butter? SEO and social media marketing is like jelly and peanut butter. You cannot be successful doing SEO (search engine optimization) without connecting your social media activity the right way. SEO tips you could read a long time ago, mainly speaking about how to use keywords, getting back links or re-write your articles so you can use the same or similar content and be ranked on the first search result page or get more website traffic easily are fairy tales now. Now these days SEO and social media marketing is all about sharing. By saying this, in my experience as a SEO expert it doesn’t really matter how you share your content but how others share your online content. Search engines like Google, Bing or Yahoo are really sophisticated enough to understand who shares your content, is it a person or a computer program, a person with the same IP address (your computer’s location) or somebody with an IP address in another country using your social media account. Surprised? Don’t be. for example. In this modern SEO and social media marketing way, your fans, followers, or interest sharers confirm that you are what you say, the authority in your field. Who are you online, a person, a brand or a company? Choose one and stick to it. If you are all three that OK too. Just make sure you name and connect them accordingly so there is no confusion. We all want to be experts and authorities but do we know exactly for what? Did you do the proper keyword research, get coached or hire a SEO expert to do one for you that you really get the best profitability and search results? It can make a huge difference. Location, location, location, we all heard this before from a real estate perspective. So far what I see as a SEO expert the same works online. Your social media accounts are your real estate. You build your vacation home or your empire there. The location of your social media account influences your expert value for the Google, Bing or Yahoo and your online visitors. Facebook, Twitter, LinkedIn and now YouTube are seen as great locations to be. Test what social media communities work the best for you and stick with it so you don’t water down your social media networking results. To make it easy for everybody to support you, you need to have simple social share icons right next to the blog posts available. Did this information make sense to you and you have SEO questions you would like to discuss with a SEO expert? 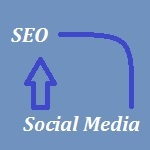 Concerns about your SEO and social media marketing activities? Want to find out how search engines see you social media efforts? Need personalized SEO tips about your own website or blog? 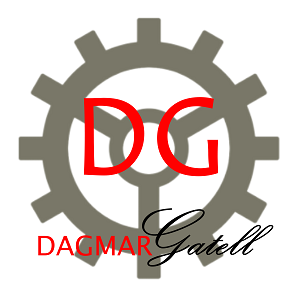 Just leave me a comment under this blog post, sign up for my 60-min SEO busines strategy session or reach me through my SEO Expert Dagmar Gatell contact me page. I am happy to guide you!